Cerium and yttrium are found, although some chemists realized, they are not pure elements, but until they were discovered about 40 years later, the Swedish chemist Mosander patiently analysis to unravel the mystery. Mosander is Betsy Rius's pupil and assistant, he on the discovery and study of rare earth elements to make larger contribution. In 1839 he will cerium nitrate is heated to decompose, found only a portion of the dissolved in nitric acid. He dissolved oxide called La soil ( lanthana ), element called lanthanum ( LA ), element symbol is La, comes from the Greek lanthan ō( " hidden " ). Lanthanum and terbium, erbium and found that rare earth elements open second gates, is the discovery of rare earth elements in the second stage. Their discovery is the second cerium and yttrium two elements and rare earth elements found in the three. The discovery process: 1803, carat Plott ( M.H.Klaproth ) and Betsy Lieus ( J.J.Bergelius ), Hisinger ( W.Hisinger ) were found. Cerium is from another piece of production in the Swedish town of tile " red rocks found in. In 1803 German chemist Klaproth analyzes this red rocks, identified a new element oxides, known as OCHRA ( Auburn ) soil, because it burns appeared in ochre. Element was named ochroium, ore known as ochroite. At the same time the Swedish chemist Betsy Rius and Hisinger in the ores are also found in the same element oxides, known as ceria ( ceria ), elements known as cerium ( CE ), symbol of element is set to Ce, ore called Cerite, in memory of at the time of discovery of the asteroid Ceres Ceres. Ochroium and cerium are the same element, the latter is adopted, the former being discarded. Yttrium and cerium oxide and other rare earth elements and Turkish element oxides as difficult to restore. Until 1875, Hill brown Deli electrolytic molten cerium oxide, cerium metal. Today this is made of rare earth metal in a widespread method. They discovered that not only find their itself, but also brings other rare earth elements found in. Other rare earth elements found from these two elements found in start. Yttrium and cerium found just opened the first gate to find rare earth elements, rare earth elements are found in the first stage. About 160 years ago, the Swedes Mosangde lanthanum from the discovery of a new element, but it is not a single element, Mosangde found this element of the character of Lanthanum with very similar, they named her " praseodymium neodymium ". " Nd " Greek " twin ". After about another 40 years, also was the inventor of gas mantles in 1885, Welsbach of Austria successfully from the " nd " isolated element two, a named " nd ", another is named " pr ". The " twin " being spaced apart, praseodymium elements also have their own talent and broad heaven and earth. Praseodymium, neodymium, samarium, gadolinium is from that time considered to be a rare earth element didymium separated. Since their discovery, didymium will no longer be retained. It is found that they open the third gates of rare earth elements, rare earth elements are found in the third stage. But this is only half of the work was completed in third stages. The exact will be opened the door or the completion of cerium CE separation, the other half will be open the door or completion of yttrium y separation. The discovery process: 1885 by von Weir Sebah found. On 1945, Marin, ( J.A.Marinky ), Glen Ding Ning ( L.E.Glendenin ) and G ( C.Coryell ) from Lille atomic energy reactor used in uranium fuel successfully isolated element 61, with Greek mythology the God of Plo Michel J ( Prometheus ) named promethium ( Promethium ). 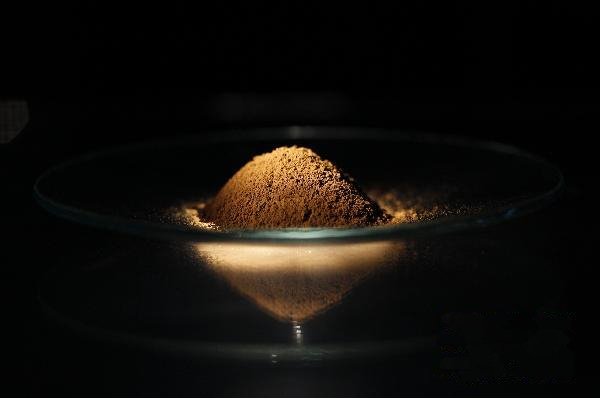 Since Mosangdeer has found lanthanum, terbium doped and later, many chemists pay special attention to have been discovered from rare earth elements to isolate new elements. 1878 French spectroscopist, chemist Laffont tan from Mosangdeer found called didymium element in the discovery of a new element, called decipium. But in 1879, the French another chemist Brouard Bode Langley using spectral analysis, determine the decipium is unknown and known rare earth mixture, and separated from a then unknown element, named it samarium, symbol of element Sa, namely sm. The discovery process: 1901, Tokuma Kai ( Eugene-Antole Demarcay ) from " SM " found a new element, named europium ( Europium ). This is probably based on Europe ( Europe ) a word naming. On 1904, ur class ( G.Urpain ) was prepared with pure europium compounds. The discovery process: in 1880, Marie Gerner J Swiss ( G.de Marignac ) will " SM " is separated into two elements, one by Sorit confirmed to be SM elements, another element of Beuys packet delay study confirmed, on 1886, Marie Gerner J to commemorate the discovery of rare earth yttrium pioneer Holland chemist gado ( Gado Linium ), will this new element named gadolinium. Since Mosangdeer has found lanthanum, terbium doped and later, many chemists pay special attention to have been discovered from rare earth<, SPAN space="0| " rightZone="99|9" leftZone="5290|9"> elements to isolate new elements. In the discovery of SM second years after 1880, Marinac Swiss scientists discovered two new elements and named as gamma alpha and gamma beta. Later confirmed that gamma beta and SM is the same element. In 1886 Brouard Bode Ron made of pure gamma alpha, and to identify it as a new element. Named gadolinium, symbol of element Gd. Sweden in 1843 Mosangde ( Karl G.Mosander ) based on the soil of yttrium, terbium ( Terbium ). The application of terbium mostly involve the field of high technology, is a technology-intensive, knowledge-intensive tip projects, and has significant economic benefits of the project, with a good development prospect. In 1843 by the Mosangdeer ( C.G.Mosander ) found. Originally named erbium oxide, 1877 was officially named the terbium. In 1905 the first Ciyouwubeiyin ( G.Urbain ) purification system. In that same period in LA, Mosander on the initial discovery of yttrium is analyzed, and on 1842 published report, clear the initial discovery of yttrium earth than a single element oxide, but three kinds of oxides of the elements. He put one of them is still called yttria, one named terbia ( terbium soil ). Symbol of element is set to Tb. It is named after and yttrium, from the initial discovery of yttrium ore area, Stockholm near the small aunt Torr for caries tterby ). Terbium and the other two elements lanthanum, erbium discovery opened found REE second gates, is the discovery of rare earth elements in the second stage. Their discovery is the second cerium and yttrium two elements and rare earth elements found in the three. There is a total of five. Find: de Bois bode Lang ( L.Boisbaudran )? The discovery process: 1886 de? Bois bode Lang (L.Boisbaudran) found. Mosander in 1842 from the separation of erbium yttrium Earth Terbium soil and soil, many chemists using spectral analysis and identification, to determine their not pure an element oxides, which encouraged chemists to separate them. The holmium is separated 7 years later in 1886, Brouard Bode Ron took it to retain the one divides into two., holmium, another called dysprosium, symbol of element Dy. This word comes from the Greek dysprositos, is " difficult to achieve .". 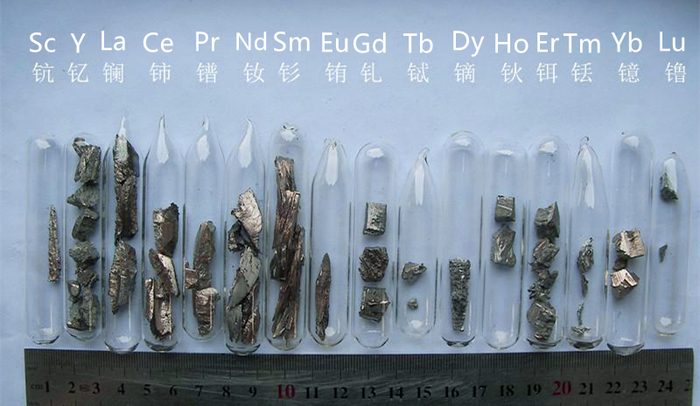 With dysprosium and some other rare earth elements found that rare earth elements, completed the third stage of the other half. Found in: from 1878 to 1879. The discovery process: 1878 as Sorit ( J.L.Soret ) found in 1879 by the state; ( P.T.Cleve ) found. Mosander in 1842 from the separation of erbium yttrium Earth Terbium soil and soil, many chemists using spectral analysis and identification, to determine their not pure an element oxides, which encouraged chemists to separate them. From the oxidation of bait in isolated ytterbium oxide and scandium oxide, 1879 Cliff and isolated two new oxide. One of them is named holmium, to commemorate Cliff's birthplace, the Swedish capital Stockholm the ancient Latin name Holmia Ho, element symbol. Thereafter in 1886 Brouard Bode Ron from the holmium isolated over another element holmium, but the name was kept. With the holmium and some other rare earth elements found that rare earth elements, completed the third stage of the other half. The discovery process: by 1843, Mosangdeer ( C.G.Mosander ) found. He will Er de oxide named terbium oxide, therefore, early Devin offered, terbium oxide and erbium oxide is confused. Until after 1860, to correct. In that same period in LA, Mosander on the initial discovery of yttrium is analyzed, and on 1842 published report, clear the initial discovery of yttrium earth than a single element oxide, but three kinds of oxides of the elements. He put one of them is still called yttria, one named erbia ( erbium soil ). Symbol of element is set to Er. It is named after and yttrium, from the initial discovery of yttrium ore area, Stockholm near the town of ytterby ( Ytterby ). Erbium and the other two elements lanthanum, terbium found opens the second gates that rare earth elements, rare earth elements are found in the second stage. Their discovery is the second cerium and yttrium two elements and rare earth elements found in the three. The discovery process: on 1878, by Cliff ( P.T.Cleve ) found. Mosander in 1842 from the separation of erbium yttrium Earth Terbium soil and soil, many chemists using spectral analysis and identification, to determine their not pure an element oxides, which encouraged chemists to separate them. From the oxidation of bait in isolated ytterbium oxide and scandium oxide, 1879 Cliff and isolated two new oxide. One of them is named thulium, to commemorate Cliff's homeland is located in Scandinavia Peninsula ( Thulia ), element symbol for Tu, now Tm. With thulium and some other rare earth elements found that rare earth elements, completed the third stage of the other half. The discovery process: 1878, Charles ( Jean Charles ) and horse Rico ng ( G.de Marignac ) in " Er" in discovery of new rare earth element, this element from ytterby ( Ytterby ) named ytterbium ( Ytterbium ). By Marinac ( J.C.G.Marignac ) first to isolate the ytterbium compounds; 1907 by ur class ( G.Urbain ) pointed out that Marinac is separated by ytterbium lutetium and now known Yb two elements. In 1907, Welsbach and Ubain ( G.Urbain ) was studied, with a respective, different separation method from " ytterbium " and found a new element, Welsbach put the element named Cp ( Cassiopeium ), Ubain according to Paris's old name Lutece named Lu ( Lutetium ). Later discovered that Cp and Lu are the same element, is uniformly referred to as lutetium. The discovery process: 1794, Finland from the Swedish town of Iraq gardelli special produced by Blackstone found in yttrium earth. In 1788, a study on the chemical and mineralogical collection ore, amateur Swedish officer Karl Areni UZ ( Karl Arrhenius ) in the Stockholm bay outside the village of ytterby ( Ytterby ), discovered the appearance like asphalt and coal black mineral, according to the local place names named ytterby mine ( Ytterbite ). In 1794 the Finland chemist John Gadolin analyzes this ytterby ore sample. Found among the beryllium, silicon, iron oxides, contains about 38% of the unknown elements of jujube " new earth oxides ". In 1797, Swedish chemist Eike Begg ( Anders Gustaf Ekeberg ) confirmed that the " new earth ", named yttria ( Yttria, yttrium oxide. ). In 1879, Swedish chemistry professor Nelson ( L.F.Nilson, 1840~1899 ) and Clive ( P.T.Cleve, 1840~1905 ) almost simultaneously in the rare minerals gadolinite and euxenite found a new element. They give this element is named " Scandium " (SC ), SC is Mendeleev had predicted " class B" elements. Their discovery of periodic law of elements again proved correctness and Mendeleev have farsightedness. Prev: Which elements are rare earth element?